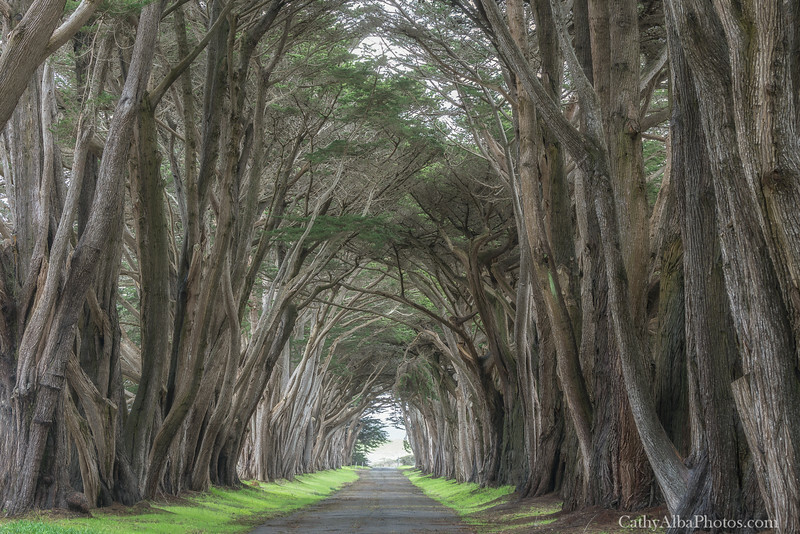 The Cypress Tree Tunnel is one of those magical spots I've seen photographed so many times and it was at the top of my bucket list to photograph when I flew out to California. Needless to say Wayward Imagery and I just happened to fly in during the heavy rains and mudslides and almost had to turn around before continuing on to Point Reyes National Seashore with the risk of roads flooding. We MADE IT!!! It was a cloudy day with off and on storms and no beautiful sun rays coming through the trees but still magical in its own quiet way.